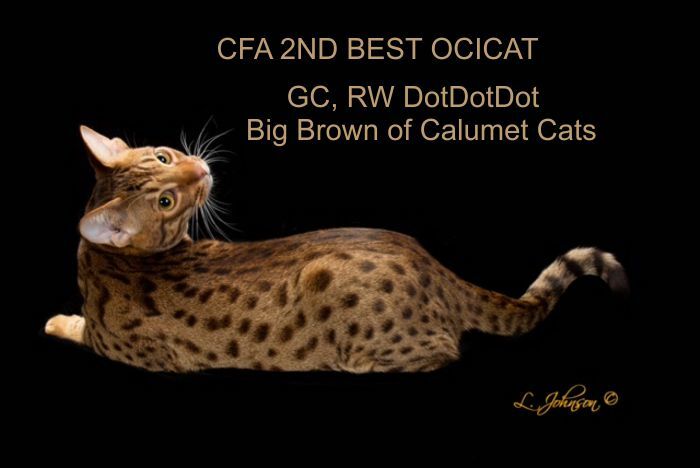 The next CFA Ocicat Breed Council meeting will be held at the CFA Annual Meeting on July 3rd, 2016 in Las Vegas, NV. The proposed extension of the Abyssinian outcross for the Ocicat has been approved by the CFA Board of Directors. The Abyssinian may be used as an outcross (and kittens registered as Ocicats) until 2030. Many thanks to the CFA Board of Directors for helping to preserve the Ocicat! Apply for CFA Breed Council membership today! Help shape the future of the Ocicat. Membership runs from January 1st to December 1st, and applications for membership must be received by CFA by August 1st. If you would like to link to the Breed Council site, feel free to use this banner.